At the start of this year, I was reflecting (as is customary) on my 2016 projects and thinking about what training and professional development I might want to do in 2017. Something I had been thinking more about was educational theory, pedagogy and learning theory. Some of this was prompted by reading I’d set for my online students on the University of Edinburgh MSc in Science Communication and Public Engagement, so rather than more theory I wanted to see some approaches I’m less familiar with in action – preferably in a context I’m less familiar with too. 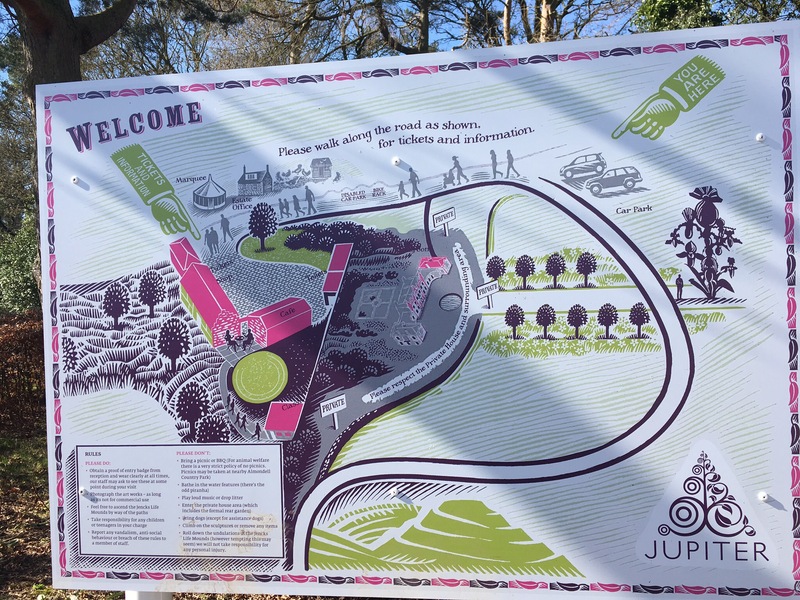 Over the years I’ve studied and practise science communication in most forms, worked in outdoor education centres, and I am working more often now also in heritage contexts… Then I came across Little Sparks and Art Sparks at Jupiter Artland and saw they have a volunteer programme. Perfect. 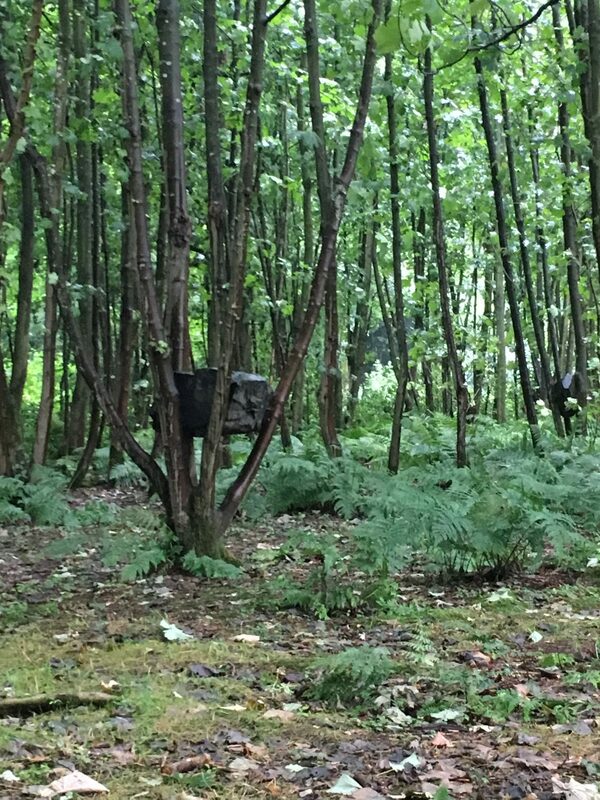 Jupiter Artland is a private collection of contemporary sculpture open to the public in gardens and woodland near Edinburgh. It was an Art Fund Museum of the Year finalist in 2016. Little Sparks is their pre-school programme during term time which follows a Montessori approach and allows child-led exploration of the modern art in the Artland and the woodland setting. 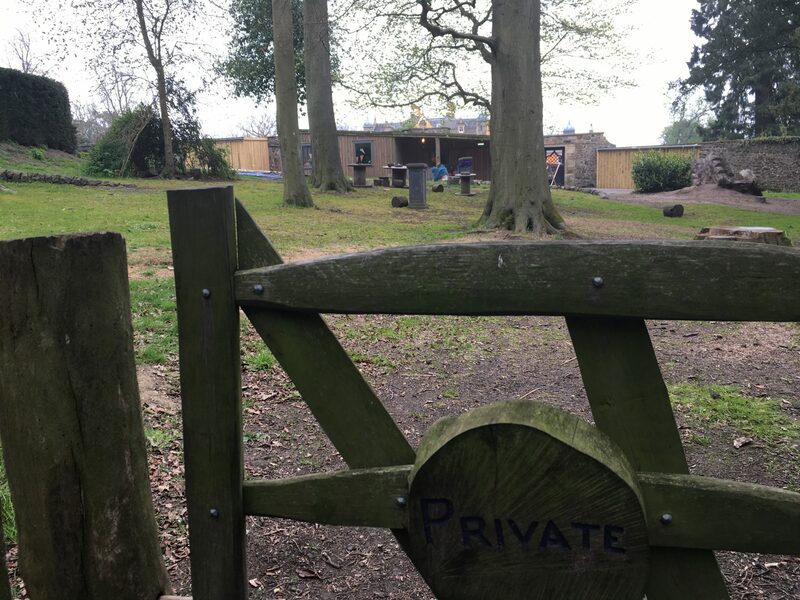 A classroom within the grounds opens on one side to an enclosed area of woodland where the children can explore freely in all weathers. I was accepted as a learning volunteer for a six-week block starting Easter Tuesday until the end of May. Little Sparks leaders are qualified in Montessori and Forest School methods and the educational philosophy behind these sessions is to be child led and blend imaginative play, outdoor play, art and creativity and a little bit of science (in the sense of experimentation and discovery about the world around them). Sessions are open to children from age 2.5 to 5 years and booked in blocks. Over time cohorts have developed who stay with the programme right through and because of this, some classes have more 2-3 year olds and others more 5 year olds. On the day of the week I volunteered, the morning class was quite young while the afternoon group was much older, including some homeschooled or flexi-schooled children of primary 1 age. It was noticeable that the younger children and any new older children needed to be given options and suggestions for things to do with all the stimulus and resources set out, whereas those more familiar with the environment often arrived with their own ideas and plans for activities and projects. Session leaders were skilled at engaging individuals in the former group and finding something to pique their interest and get them involved. 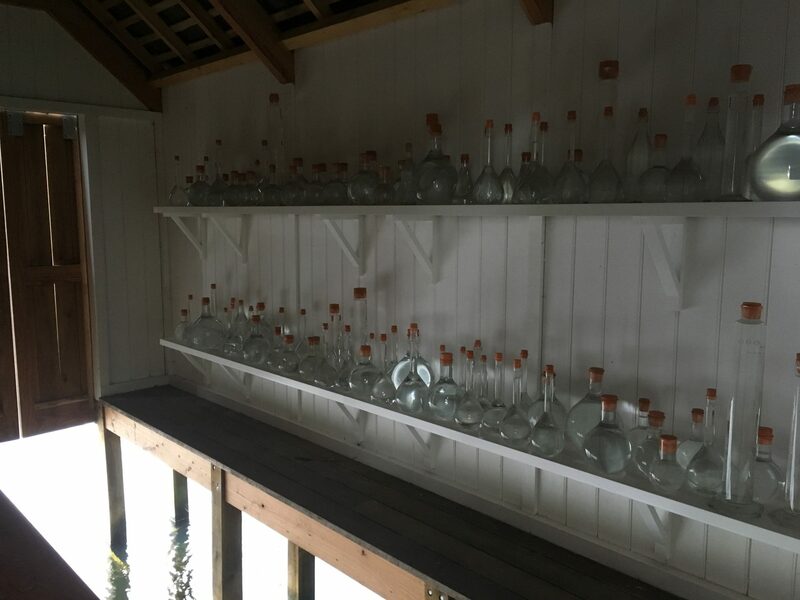 They were also enthusiastic about enabling the children with their own ideas and projects and helping them develop these – without ever telling them what to do – a real skill! In most of my work, activities and workshops are quite outcome-led. Despite the fact that both science and art are at their core open processes of discovery, those of us who plan workshops or drop-in activities too often design them to allow the participants to “make an X” or “discover Y”. There are lots of reasons for this, not least the logistics of resourcing and marketing something totally open and also my observations about how it takes participants some time to become comfortable enough in an environment to really get stuck in without being given a specific task. You can read more about what we did in each session I helped with (and see photos) on the Little Sparks blog written by Julie who planned and led the sessions with assistant Catriona. 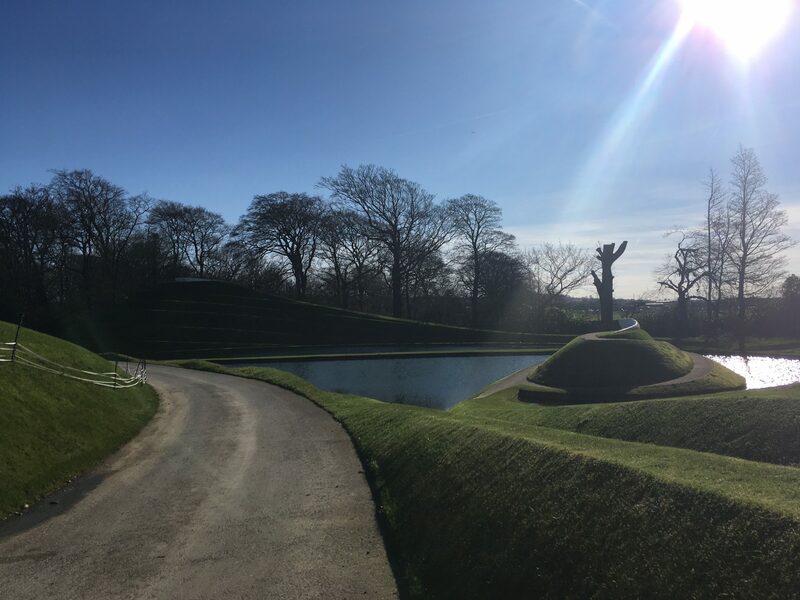 Since finishing with Jupiter Artland I’ve started working with Historic Environment Scotland and the Burrell Collection and for both clients I’m thinking about under-5s and about free play for early years and older audiences. I’ve also just returned from the BIG Event at the Centre for Life where they have a relatively new “making space” and where we talked about how science centre staff and exhibit designers like myself need to work harder to resist giving answers and instead focus on encouraging exploration. I found my time in the Artland inspiring and have since taken my own son to the holiday programme “Art Sparks” which he loved. I have seen new ways of working, met some lovely people (and children and parents) and spent time in an inspiring environment – I highly recommend volunteering for professional development. *The title of this blog post is of course very much tongue in cheek – I truly believe everyone is an artist and everyone a scientist! There is no dichotomy.